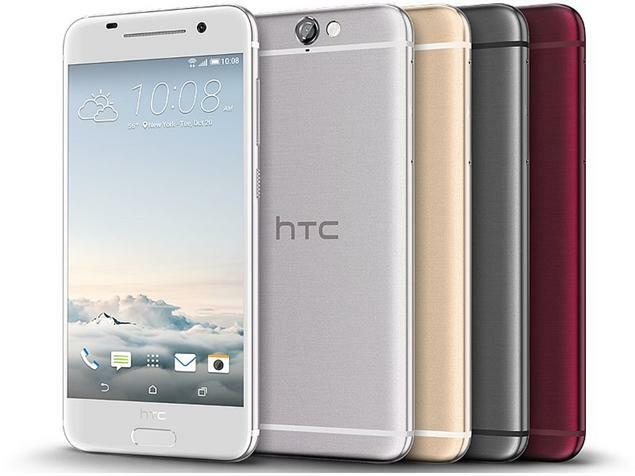 HTC One A9 – Newest Premium Device To Come As A Clone Of iPhone 6? HTC has been very fruitful this year, beginning its series of launches with the One M9 flagship, a continuation of the One M8, but the fans were disappointed when they saw only a few design changes, such as the switch from a dual rear camera with circular lenses to a single camera with a square lens. Then, in the following months, we’ve seen many devices with an aluminum construction and minor changes on both the front and back (some lack the Boomsound speakers, others have a fingerprint scanner etc.). Anyway, in this article we’ll focus on the One A9, which Apple said it’s an iPhone 6 ripoff. Is it? Many reviewers considered the One M9 a disastrous smartphone, not only because it was almost identical to its predecessor, but because it came with the same screen size and resolution (Full HD), while other manufacturers were upgrading their devices’ screen resolution to QHD. HTC should have taken Samsung’s example, who released a pair of good looking flagships with a totally revamped design (the manufacturer got rid of the awful dotted plastic in favor of glass and metal). Google brought also two devices, one manufactured by LG and which was smaller, while the other one was a phablet manufactured by Huawei. 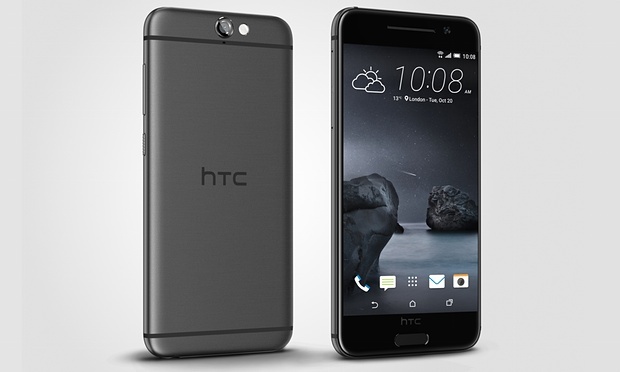 The latest HTC smartphone is the One A9, which resembles the iPhone 6. HTC refuses to admit that after years of priding itself on the great design and durable build materials, they ran out of ideas and they began to draw inspiration from their rivals. We tell you that that the One A9 looks ok and it was appreciated by many publications, and it was reviewed by Mobile Choice, who concluded that “The One A9 is a solid contender in the space but the £429 price tag is going to pull it down. It is a great device with awesome features and build quality that lives up to HTC’s pedigree. But remember, the Google Nexus 6P is available for £20 more and would you seriously want to go for the One A9 with its tiny battery over that?”. The One A9 has the usual aluminum unibody design and the back is curved for a better grip. The available colors are Carbon Gray, Opal Silver, Topaz Gold and Deep Garnet and at the top and bottom you’ll notice the thin antenna tracks placed on the horizontal. The device is neither small, nor too big, measuring 145.8 x 70.8 x 7.3 mm. The One A9 feels comfortable to hold and it’s not very heavy at 143grams. The screen is almost identical to that of the One M9, meaning that it has a size of 5-inch, a Full HD resolution of 1920 x 1080 pixels at 441ppi, but instead of a Super LCD 3 panel, it uses Samsung’s AMOLED display which delivers more vibrant colors. HTC has put a 64bit Qualcomm MSM8952 Snapdragon 617 chipset inside the One A9, which supports a pair of quad core processors running at 1.5GHz and 1.2GHz respectively. The hardware configuration is completed by an Adreno 405 GPU and 2GB or 3GB of RAM. Also, the Wi-Fi is faster and the chipset has support for LTE Cat.7 and Bluetooth 4.1, while the battery can be charged via the Quick Charge 3.0 feature. When it was tested in the GeekBench 3, the One A9 obtained a score of 3209 (Galaxy S6 scored 5215), while in the AnTuTu 5 test it scored 40631 (Galaxy S6 obtained a score of 69396) and in the Basemark OS 2.0 test it scored 944 (Galaxy S6 scored 1674). You should know that the phone has two variants of internal memories whose capacities support expansion from 16GB/32GB up to 200GB. Remember that the device has a fingerprint scanner on its front side, right under the screen and since the device is running on Android Marshmallow, this operating system comes with support for fingerprint sensors. But there are many other sensors which help the One A9 to work impeccable: Motion G, Ambient light, Proximity, Compass, Gyro, Sensor Hub and Magnetic sensor. The sound is enhanced by the built-in amplifier, using Dolby Audio and Hi-Res Audio. The main camera has a resolution of 13MP and it’s covered with sapphire lens. It has a BSI sensor, it supports an aperture of f/2.0 and has features such as Optical Image Stabilization, auto focus, dual-LED (dual tone) flash, and 1080p video capture @30fps. The front camera has a resolution of 4MP (Ultrapixel) and it behaves very well in low light conditions. The battery has a capacity of 2150mAh and on paper, it lasts 18 days in stand by, it offers 12 hours of HD video playback, 9 hours of audio playback and 16 hours of talk time on 3G. Next articleIs Online Bingo More Addictive Than Smartphone Gaming?